So what to write about? Well let’s get you guys prepped for what’s coming early morning. The first thing you guys need to know is this patch is a biggie. If you’re on current gen consoles then be prepared for an 18GB download. Make sure you have some free space available and set the console to auto download updates while it is in rest mode and it will there ready and waiting for you tomorrow morning. Also due to the size make sure you take into account any download limits you might have. For last gen console owners the patch is slightly smaller. Xbox 360 owners make sure you have at least 10gb free and PS3 owners you will need at least 20gb free to download, but it also will only take 10gb of space once it has been installed. 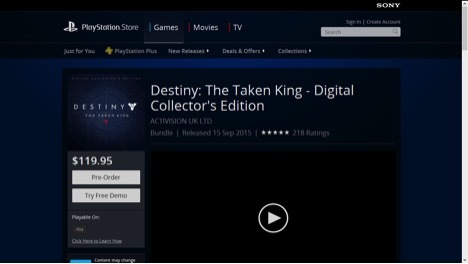 All this patching and data is to get ready for the Taken King on the 15th. So even though you may not be able to access all the features in the patch it will make some significant changes which you will be able to access this week! Listed below is the info Deej chose to share with us last week. Finally, if you’re still trying to complete your Year One triumphs you have one last week to accomplish it. There are many community sites offering to Sherpa people through to get them completed, so get amongst the community and beat those challenges Guardian. You might find me running people through raids if you’re lucky, but until then I’ll be hanging out starside. Huge kudos to the team at Badass Gaming for this very funny summary of Destiny’s Year One. It details in very humorous detail the infuriating shortcomings the game has had over the past twelve months but remains hopeful for the future. Or does it? Thanks to Ben McJannett for the heads-up! For the longest time Bungie has been saying “We are listening.” As fans we have said again and again and again: “Prove it”. With each DLC and patch Bungie has shown signs they have been. 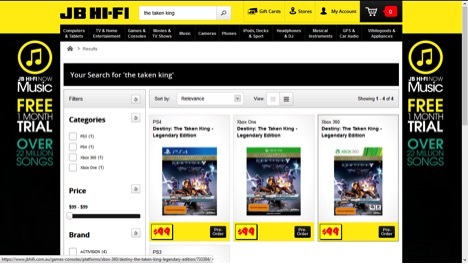 But if all reports for The Taken King in the last couple of weeks is to be believed, I don’t think we will be asking them to prove it anymore and I really, really hope that they live up to the hype this time. It all started almost two weeks ago when Game Informer announced their cover article for September (psst hey guys it’s only the start of August…. just saying…). In it they revealed that the new level cap will indeed be 40, as many had speculated. There are multiple cut-scenes in the new content, which are also skippable now. And surprisingly Ghost has been completely been re-cast and even had his original dialogue re-recorded. And after Gamescom last week and over the weekend we have had some more information made available. Game Informer has all this information over on their page. The have all the scoops and information is being drip fed from their website as we speak. In fact there is supposed to be another update tomorrow. As they have done all the work I’m not going to go into huge depth here. Go read their articles. Buy the magazine. Credit where credit is due and all that. But here’s the skinny on what they have so far. The new level cap is 40. Gone are light levels. Kind of. Light will still exist and be on your gear to some extent. How the new light system works Bungie is yet to reveal, but now you can reach max level with just experience. No more chasing gear to and praying to RNGesus to get into the end game proper. 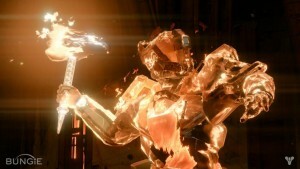 At Gamescom Bungie have said when the Taken King launches your character will be of equal experience level to whatever your current highest level achieved is for that character so far. An example would be if you were level 34 with gear, with experience you will be 34 also. If your 31 with gear, then you will be 31 with experience. Bungie also confirmed to IGN at Gamescom that there will be a one off level boost available to everyone so everyone will be able to enjoy the new content from day one. Story is finally going to be in the campaign. Yes finally, they have time to explain what they didn’t have time to explain last time. We haven’t seen or heard a lot really. 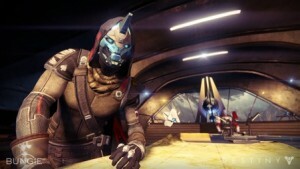 That was until GameInformer shared their latest video interview with Taken King Creative Director Luke Smith and Executive Producer Mark Noseworthy. I’m really excited to see Cayde-6 get his time in the sun, mostly because Nathan Fillion is amazing as Cayde and the character is the one I have hoped to see expanded on since I first played the Beta back in July of last year. Actually I hope now that they have announced Nolan North as the voice of Ghost, they announce (or sneak in) the other biggest VO name in games today, Troy Baker. And then cast him as the voice of Cayde’s Ghost. The banter possibility there is brilliant. Like I said, there’s more information coming soon, and I expect Bungie to announce upcoming live twitch streams to reveal more this week in the weekly update, but in the meantime check out these and the other articles Game Informer have on their site. Update 1.1.2 : The one with Vault space and Raid fixes. With this update, we’re responding to player feedback and addressing larger issues that compromised the quality of the Destiny experience. Destiny. It’s one of those games that divides gamer opinion. It’s a game you love to hate, but if it gets its hooks in it will be one you won’t want to stop playing. You only have to look at Polygon or Kotaku any day of the week to see that the game has its fair share of issues. Yet these same people at both sites can’t seem to stop playing it or writing about it. 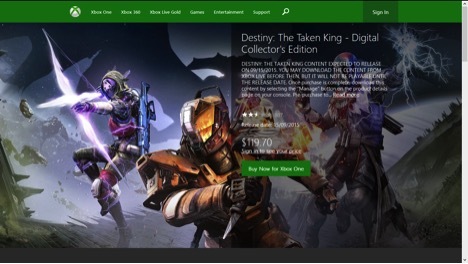 So what is it about Destiny that keeps people coming back for more? Well for each person I’m sure the reason is different. For me, I keep coming back to play with my friends, and with the competitive nature we all share we keep trying to out perform each other. Also I am part of a pretty relaxed raid team that can complete the content and enjoys playing together. And if you ask any end game player, they will tell you that the raids are the best parts of the game. So what is wrong with Destiny? If you’ve spent even half an hour in the game you will probably notice that the game is very, VERY story light. It’s most noticeable after the second mission when in the cut scene the Speaker says “I could tell you about…” and then doesn’t really tell you anything at all. Even better is another point in the game when you first meet “the Stranger” and she says “I don’t even have time to tell you why I don’t even have time.” Thankfully this has improved slightly in the recent The Dark Below (TDB) Expansion. Eris is a character that at least attempts to fill in some gaps. Not many gaps are filled in, but something is better than nothing. The biggest problem with Destiny’s story is its delivery. There are countless moments throughout the main campaign where the opportunity to fill in the blanks is missed. An example: the line about the wizard coming from the moon, that was cut last year, is early on when the player encounters the hive for the first time. Now your ghost simply says something about the hive being on earth and that’s the end of the mission. 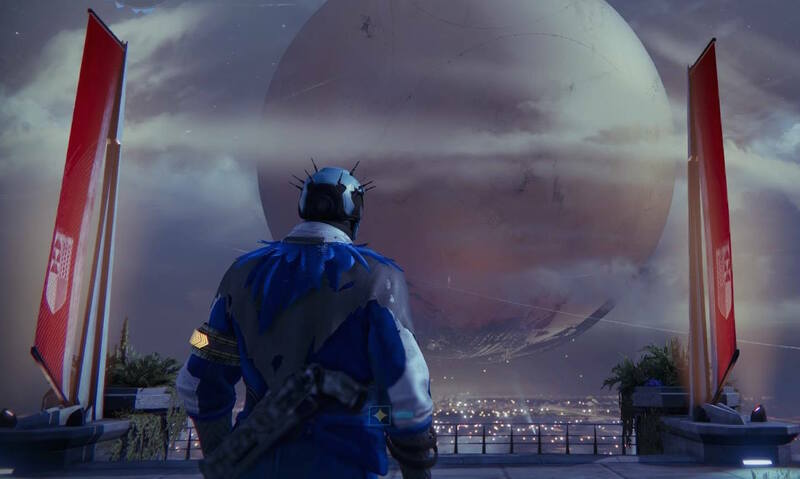 If you were to do only the main story missions you would next go to the moon to track down a missing guardian for the speaker. The problem here is that the main story essentially skips two missions about Rasputin, which itself could be better integrated, and doesn’t provide a link between your first hive encounter and your reason for heading to the moon. My idea to rectify this plot hole would be to have a dialogue with the speaker or your vanguard mentor where you report about the hive being on earth. Following this they maybe send a fellow guardian to the moon to investigate what the hive are doing there, while they send you back to Russia to find out what the hive are after, which would lead you to discover Rasputin. Once you get Rasputin up and running again, you return to your Vanguard mentor where they inform you that the guardian who went to the moon has gone missing and they ask you to seek him out. By doing this it would give the player the sense of inclusion into the proceedings at the tower and also it would give the NPCs a chance to have a personality. I’m not saying this needs to be fully integrated cut scenes, just put a small dialogue tree in when returning to the tower with mission rewards. It might not be much but it’s still better than what is there now. As I said before, the problem isn’t so much the story itself, but its delivery. 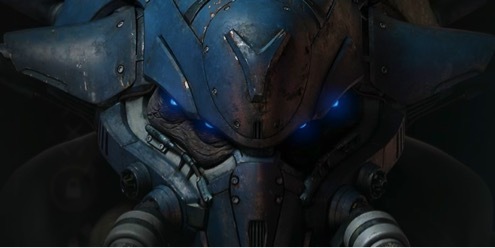 Other ideas to help with story mechanics for House of Wolves, or any other future content, would be to include the NPC characters in the missions. For example, have Cayde-6 (the hunter vanguard mentor) show up half way through a mission to help you track down and kill the boss. Doing this it would give your guardian a chance to speak. The few times you guardian does actually speak in cut scenes are the only good parts as it finally gives the NPCs someone to have a back forth dialogue with, even if there is very little dialogue there. Bungie did this is in Halo with Sgt. Johnson, so why not do something similar with the Vanguard mentors. The other big story problem with Destiny is the Grimoire. Yes all the story that fills in the blanks is in there. But guess what? No one wants to go to the website to read it. I have seen many people say it should be in the game. One of my mates said just for looking at reputation levels he doesn’t even want to look at it on his phone or on a laptop screen. His reason: he doesn’t want to put down the controller to do it. All these things are essentially menu screens that need to be added. Probably a lot easier said than done, but when you pick up any RPG with extra background information/story, you can usually find it all in a journal of some sorts. Mass Effect and the Elder Scrolls series are great examples of this. Even last years Dragon Age: Inquisition has something along these lines (which reminds me I should go back and play this some more as it is bloody amazing). Hopefully this is something be added in the background for future DLC or updates. If you’re looking for a great way to get into the Grimoire, look no further than the Guardian Radio Networks audio Grimoire cards. All voice acted, brilliantly done and worth a listen. The other big problem that turns players away in droves is the walls that are placed in front of a new level 20 guardian. This was not something I was aware of until I was listening to Flash Point Episode 92 the other week. Essentially Simon, David and David all said they were stuck at the grind to get better gear so they could just participate in TDB missions. From what I was able to understand they were doing the strike playlists, which itself is a great start, but is not the best way to get legendary gear. The problem with this scenario is there isn’t any real explanation on what to do once you reach level 20 in the game. In the mentioned scenario here I would recommend the guys do the weekly strikes to start out as even at the lower levels the chance to get a legendary piece is higher than doing the strike playlists. The problem with this is the minimum level for this is level 24 (prior to TDB it was 22) so having a few pieces of blue gear with a reasonable light level before attempting this would be a good idea. By doing the weekly strike they would gain 3 strange coins (more depending on the level being completed). Once they get thirteen they can trade them in with Xur, in the tower on the weekend, for an exotic piece of armour. One exotic piece starts with a light level of 30 and can be upgraded to 36. That alone would boost a new player up a few light levels. But there are no tool tips or information provided to the newly levelled player to guide them to discover this. I mean seriously, just put in the tool tip for strange coins that says something like “can be traded for powerful armour and weapons in the tower”. Not really rocket science here. The other big barrier here is weeklies still have no match making, so if you don’t have a few friends to group with you’re on your own for the entire strike, which is doable but for some new players can be extremely challenging and off-putting. Finally, I want to talk about expansions. I’ve got no issue with the content or how much there was or even the price. My problem is calling it an expansion. If you look at it as a straight up DLC content pack or more like a DLC episode than an expansion, then size and cost don’t seem like a big deal. Let’s compare it to say, a Call of Duty DLC pack. You get maybe 3 or four multiplayer maps and a co-op map and a couple of new guns, for I believe $15-$20. Most people seem to see that as reasonable. Now for almost the same price with Destiny we get a new raid, some new single player missions (which can be done co-op), 3 new multiplayer maps and new weapons and armour. 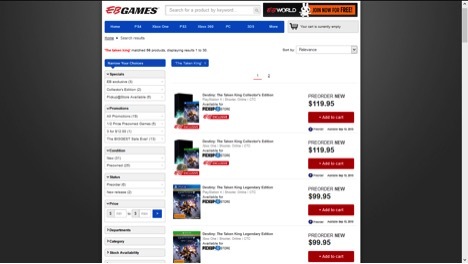 So comparatively, Destiny’s DLC seems like the better deal. I’m not saying the DLC itself is better, that’s up to an individual to decide, but for price it’s on par with what else is offered out there. But the reason so many people complained about it being small or a rip off, and so on, isn’t because of how much was there, but because of the way it was presented. People see the word expansion and immediately start comparing it to say a World of Warcraft expansion or anything else along those lines. Even the last SWTOR expansion had more content, and I think was for a cheaper price (if you pre-ordered and were a subscriber). The Dark Below feels nothing like a true expansion and therefore should not be called one. Naming it as episodic content or a DLC pack like Call of Duty does would have prevented it from being issue before there even was one. It’s not so much what is in the game that is the problem: it’s that the way it is delivered to the user is poor in performance. Whether it is by design or marketing, it’s these things that let Destiny down. Because at its core, especially when playing with friends, the game is a tremendous amount of fun, glitches and all. 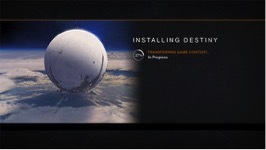 I just hope Bungie can turn around the way it delivers its product before the next DLC. As a reward for purchasing The Dark Below, everyone who purchases it before 2015 will receive the Tumbler Sparrow on December 9th. If you have the expansion pass you will already have it waiting for you at the Postmaster. My opinion on the sparrow: it is fun as hell to do tricks on. Hold the right trigger when you get airborne and you will spin whichever way you turn the left thumb stick. Hit the d-pad while in the air and your Guardian will do a variety of tricks. Expect to see plenty of videos in the coming months of tricks being done around the galaxy. While you were sleeping Bungie snuck out the latest patch for Destiny last night. This is the patch they were referring to when the servers were brought down for maintenance last week. It’s about 2.44GB in size (at least on the PS4) and has a few handy new features, including more bounty slots, previewing shaders and emblems, and the new opt-in voice chat feature. For all this and a list of fixes see the patch notes below. 1.0.3 : The one about Iron Banner and Voice. This is the first in a series of updates that will deliver new content in the lead up to The Dark Below. Update 1.0.3 provides new social features, revisions to activities, alterations to competitive spaces, adjustments to the player overall experience, as well as a sizable download of new content and geometry to support the first expansion of the world of Destiny. The Iron Banner special event is also being updated with new rules and features prior to its second run. Adjusted Join in-Progress settings for all playlists to minimize long periods of unbalanced teams due to players quitting out of matches. In order to facilitate future updates Bungie will bringing down the servers for maintenance. There won’t be a patch but the servers will be ready for The Dark Below when it comes down the internet wires in a few weeks. Expect the servers to be down from 2am tomorrow morning (8am PST). For info on what future content is coming look no further than notes from Deej’s weekly update post from last weekend below. We’re inbound with several bundles of joy in our hold. They’ll land in the weeks to come. Some of them will give everyone new things to do and earn. Some of them will prepare the world you’ve conquered for some new arrivals, and push the boundaries. Your level of engagement will be up to you. Each of us finds our own level in Destiny. While news has been very slow this week, there is still a little bit to talk about. 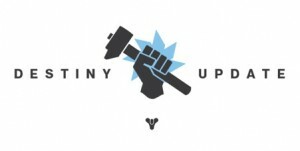 First, Extra Life is coming up very soon, and the guys over at Guardian Radio have setup some fund raising in Destiny which Bungie themselves are getting behind. Deej is back again with another weekly update – this time you get a little insight in to how the Iron Banner is supposed to be working. In my opinion and others, it is not as originally described, but that has at least allowed me to get to rank one (you only need your team to win 4 matches to rank up). If you want to provide Bungie some feedback on the iron banner, you can do that too. Also I liked the little tease of some more audio options (being able to turn down the music so I can hear my fire-teammates would be ideal), as well as the talk of some more updates to come soon. A Hot Fix has hit today. I’m sure a lot of people will be upset about their auto rifles copping a nerf. Also getting hit by the nerf bat is Shotguns, their range effectively being reduced. And for those of you running the raid, you’re going to have to avoid your “sniper pillar” strategy from now on. But it isn’t all bad as Scout Rifles and Hand Cannons are receiving a buff. 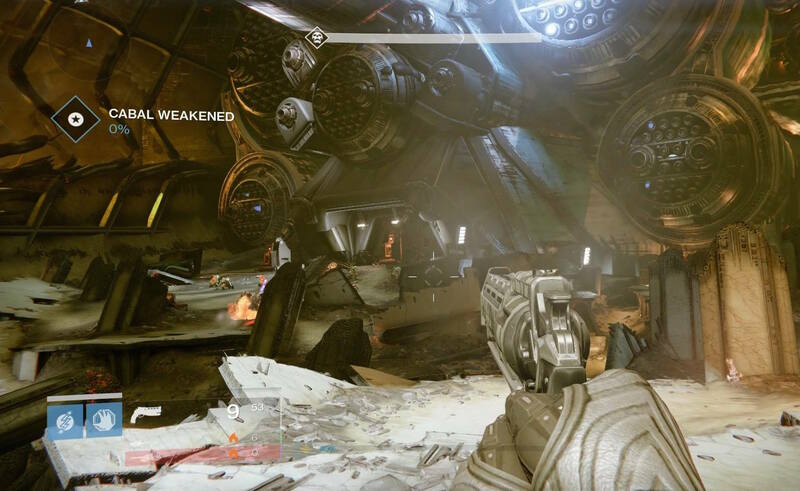 Almost half a million players have completed the Vault of Glass raid. 472,082 to be exact. That’s about a quarter of the 1,970,807 that have launched themselves head first in to vault’s depths. Something that’s even more impressive is the fact that 3.2 million players login daily to play in Destiny, about half of the daily traffic WoW sees. Finally, just a point of note, the game officially became one month old last week. That’s it for another week, good luck in the crucible Guardians and hopefully next week we have some new updates and events to talk about.